The biggest fallacy that must be quashed immediately when addressing Disney’s live action Maleficent is that it is somehow an alternative take upon the events of their 1959 animated classic Sleeping Beauty. This is not, as the studio has gone to pains in an attempt to paint out via it’s marketing and pre-release hype, a film which seeks to flesh out it’s characters and shift perspective on how and why the titular character fell to villainy, but rather an entirely different story made piecemeal by dint of a few familiar scenes, a handful of shared characters and the deliberately vague narration that attempts to dismiss the original film as a distorted version of the actuality it goes on to supposedly portray. The problem is, Maleficent doesn’t so much fill in the gaps and paper over the cracks of Sleeping Beauty as much as it wallpapers over the whole thing with an altogether different and at times completely juxtaposing series of events and characters. Perhaps the biggest flaw in this approach is that it unquestionably fails in it’s raison d’etre - to give depth and dimension to the self proclaimed ‘mistress of all evil’. Whilst Angelina Jolie is admittedly wonderful in the role, this is not the Eleanor Audley uber-villainess of yesteryear, but a wounded, hurt woman who suffers a bit of a meltdown but almost instantly attempts to make amends. Following on from the disjointed and overlong exposition that kickstarts the film, the character’s spiraling descent into hatred and madness does temporarily see the film jump to life, with Jolie deliciously indulging in the darker moments and offered plenty in the way of ammunition and motivation in her war against newly crowned monarch, and former love interest, King Stefan (Sharlto Copley). The board and pieces are set in place, and the dark fairy beloved for her intense, unyielding wickedness begins to take glorious, malevolent shape. And then gradually, as the film segues into it’s second reel, with the plot focus shifting onto young Sleeping Beauty Aurora herself, the life, fire and magic slowly begins to fizzle out and the dawning realisation of what Disney are doing slowly becomes horribly brazen. This is not Maleficent the tragedy, or even Maleficent the anti-hero, but instead Maleficent the meandering hero. Bar a small handful of scenes where she revels in her devilry, Jolie is forced to spend the majority of the middle portion of the film solemnly stalking Aurora and regretting the curse she placed upon her at birth. You can almost hear the brainstorming and mentality of those initial plot and production discussions - ‘we’ll twist the whole tale on it’s head!’ ‘let’s make her the unlikely hero!’ and, in the process, moments of magic and whimsy from the animated classic are horribly subverted - Aurora’s minder fairies are now three quarrelsome, useless and borderline-neglectful morons (though Imelda Staunton, as always, does the best with what she’s given), her crow familiar Diablo is now Diaval (Sam Riley) and can take the shape of anything she wishes, which only leads to some serious third act oversights (similarly so with Maleficent’s fluctuating and inconsistent magical prowess), and subplots such as the romance between Aurora and young Prince Phillip (Brenton Thwaites) are shoehorned in briefly, perfunctorily and end up ultimately being so completely irrelevant. The most glaring, increasingly so as the film progresses, is Maleficent herself; so vapid and starkly contrasted with the very essence and heritage of the character that it all begs the question why? 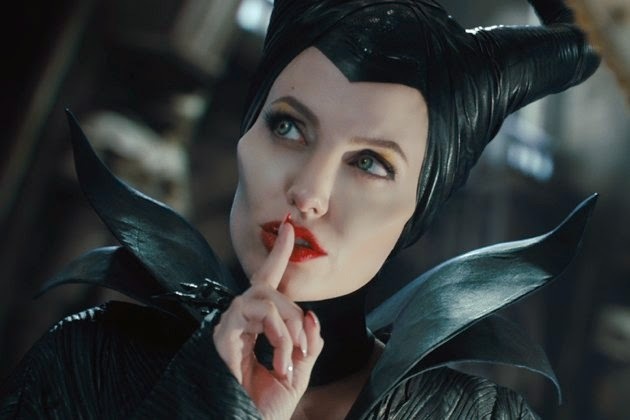 Who actually wants to see a movie about Maleficent where she is so robbed of her menace and evil, the very thing that has cemented her as such an enduring figure in the Disney catalogue of rogues, and distorted into what is continually re-affirmed in the film as a figure of good. Further compounding this bizarre logic is the fact that the film actually does feature front-and-centre an insane, thoroughly villainous and irredeemable figure in the form of Copley’s King Stefan. Whereas in the original animated classic he is a bumbling, comedic figure, here he is madness, greed and power-lust personified, and Copley leaves no furniture unchewed. So again, here we have a film titled Maleficent, purportedly attempting to add dimension and insight to the Sleeping Beauty narrative, but still nonetheless features a crazed, one-dimensional, hateful, nigh-daemonic figure of evil... only this time round it’s Aurora’s father. If anyone can find the logic therein, please feel free to let me know. By the time the finale rolls around, any semblance to the original tale, it’s plot and characters are completely tossed out the window, and, at the risk of spoilers, Maleficent becomes full-on action hero, at one point having Jolie’s costume, performance and behaviour almost more in-keeping with her Tomb Raider Lara Croft than anything old Uncle Walt’s masterpiece offered. The final set-piece in particular is so ridden with contemporary action cliche and nonsense that the one thing the movie can actually claim to have done well is further cement the brilliance of the original’s finale by dint of this one’s awfulness. Technically the film is solid, although it adopts a stark palette of either moody gloom or oh-so-pretty explosion of fantasy and colour that doesn’t lend itself brilliantly to 3D. Bar one or two sequences of flight which offer moments of genuine excitement and spectacle, the film adopts a relatively sombre tone, and the majority of the time the moodier moments almost appear out of focus when viewed in 3D, and given that the film was not natively shot in the format, it is hardly worth recommending. 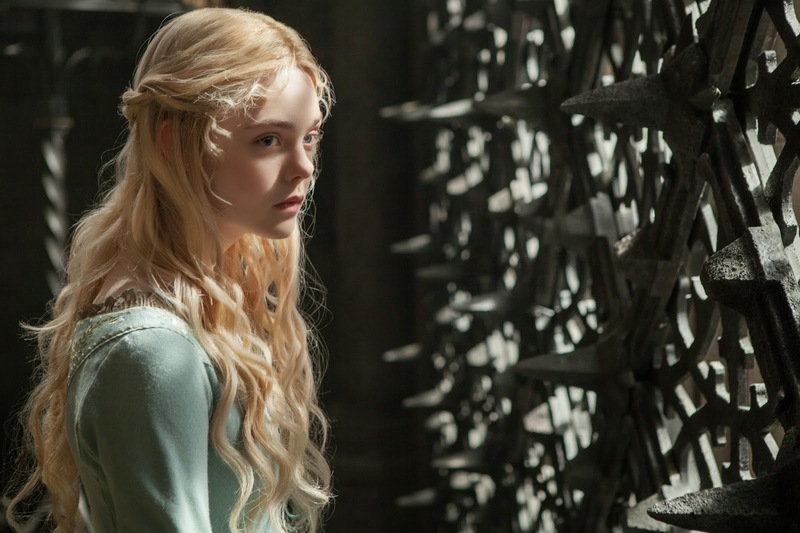 The visual effect work is of a consistently high standard, and whilst the art direction once again detours from the original film quite jarringly (Maleficent lives amongst a menagerie of cartoony cohorts not a million miles from Lewis Carol), it is certainly a very visually arresting and pretty film to look at. Director Robert Stromberg’s visual effects background, then, is clearly front and centre, though his relative inexperience can be felt in a few instances of jarring cuts and forced edits. In the end, Sleeping Beauty was a film of such magnificence and genius because it understood the power of archetypal narrative and tonal simplicity, and in crafting it’s now-iconic villain it took a very simple concept - pure evil - and writ it large. Some concepts and ideas simply do not need embellishment, the very idea of adding shade and nuance to a character who is adored for her singular evilness is in and of itself self-defeating, and this failure is utterly compounded when, as is the case of Maleficent, the approach taken is in fact to U-turn the character so drastically in the opposite direction that she is neither here nor there. Even if they absolutely had to go down this route of making the character an unlikely but ultimately good-natured hero, there should have been far more in the way of development and character motivation for the character in the middle portion of the film in particular. Instead, robbed of her majesty, her irrepressible belligerence and uncompromising darkness, one of Disney’s greatest, despite perfect casting and Jolie’s very best efforts, is diluted, confused and horribly misused in a film which leans on the good name and familiarity of Sleeping Beauty before morphing it into something altogether different and far, far less magical. For more news, updates and exclusive content from (A)musings, be sure to 'like' our Facebook page and also follow us on Twitter! Press access for this screening of Maleficent was provided by Walt Disney Motion Picture Studios UK. (A)musings Media gratefully acknowledges their generous invitation. Can't believe what I am reading. 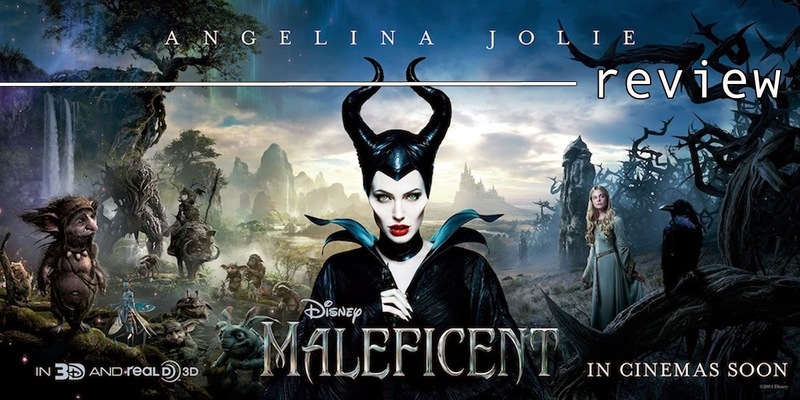 I would never guessed that the character of Maleficent would have turned out to be portrayed in such a contrasting way, especially with Disney's tagline for the movie being their 'most evil villain' - a real anticlimax to all the publicity. Не плохая графика, точнее она на на столько хороша, что ее не видно, то есть кажется что так и должно быть, так и было. Радует актерская игра Джоли, как всегда на высшем уровне. Не очень обычная история и развязка, но что-то в этом всем не то, не привлекает. Так же не оправданная длинна фильма, растянули как целую эпопею.